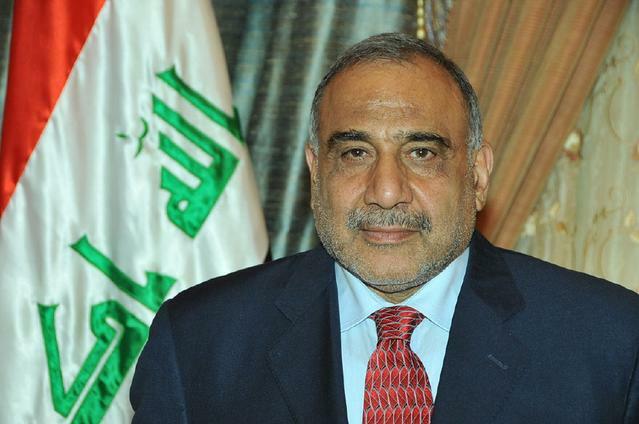 The man who has been named to be Iraq's Prime Minister Adel Abdul-Mahdi is trying to find a way to reduce corruption in government. To build his government, he opened a website where anyone can apply to run one of Iraq's 22 ministries. These jobs have long been linked to patronage and other forms of corruption. Local media reported that, within days, his office received more than 15,000 applications. He will have meetings with 601 candidates. It is unclear if Abdul-Mahdi can change how Iraq's government is run. Many political parties have their own militias and threaten to create problems for Iraq if they do not get their members in the ministries they desire. Others are asking whether it is wise to give government jobs to those with little experience. Hisham al-Dahabi is a social worker and philanthropist. He said, "I'm fifty-fifty," meaning that he half supports the plan and half does not. He said he applied to be the minister of labor and social affairs. That position organizes services and pensions for veterans and their families. Al-Dahabi said he does not believe Iraq's political parties will give up their hold on ministry jobs. Recently, he spoke to reporters and hosted a delegation from a European embassy at the orphanage he operates in Baghdad. Children cried for his attention and called him "Baba," Arabic for "Dad." He had not told them that he had applied to be a minister, and he thought he probably would not get the job. It was a campaign by friends and supporters, he said, that led him to apply. One week later, al-Dahabi met the prime minister-designate. He said only that they had discussed ways to improve the lives of Iraqi children. Abdul-Mahdi has remained quiet about his cabinet appointments. His office refused a request to speak to reporters. By law, he has until November 2 to appoint his ministers. Then, parliament must approve them before they are sworn in. Iraq's official newspaper, Al-Sabah, said Monday that 15 appointments could come this week. The others, the newspaper said, would be named later. Many people think it is unlikely Abdul-Mahdi will be able to make big changes at the ministries. But the website may help his image as a political reformer. Many Iraqis are angry with party politics. In parliamentary elections in May, only 44 percent of those who could vote completed ballots. That is the lowest number since elections started. Iraqis gave the most votes to a list of candidates chosen by cleric Muqtada al-Sadr. Al-Sadr had promised to provide a "government of technocrats." Abdul-Mahdi is an economist. He has worked as oil minister, finance minister and vice president since returning from exile in 2003. Many Iraqis consider him a political independent. He is Iraq's first prime minister in 12 years who is not from the Dawa Party. The party is blamed for many of the country's problems, such as the growth of militias and poor government services. Alaa Khudair is a retired government worker. Khudair said the website was a good way to take power away from the parties that have failed to "speak for Iraqis." But political activist Yahya al-Hafiz warned that, if any of the applicants are appointed ministers, they will be put in a difficult political environment. "The political parties are refusing to go along...This is a government that works on favors and deals. It's impossible to think they're going to give that up," he said. But Al-Dahabi said he and other experts are not afraid. "At least we have some experience," he said. Whatever the majority decided I was prepared to go along with. 5.Then, parliament must approve them before they are sworn in. Thomas will be sworn in today as a justice on the Supreme Court. She was sworn in as head of an interim government in March. 6.Many people think it is unlikely Abdul-Mahdi will be able to make big changes at the ministries. We have not decided to make any big changes. Josie wants to make some big changes at The Bookshelf!